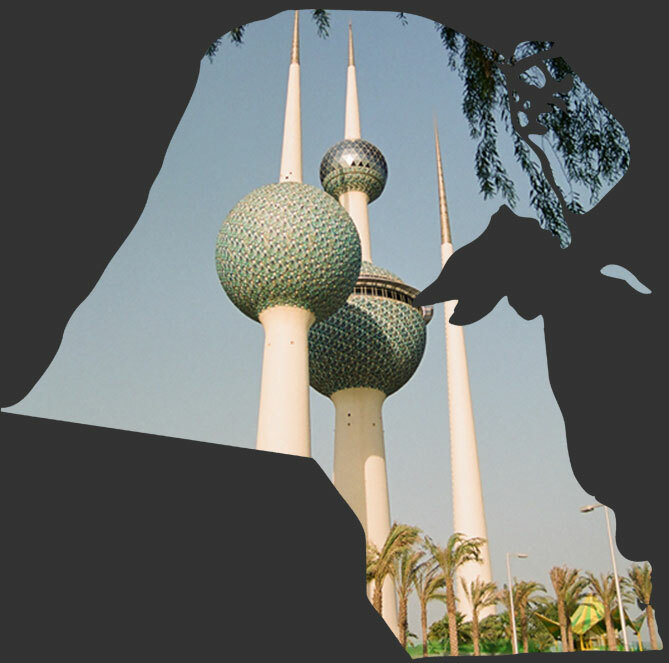 Kuwait Invasion: the evidence is a documentary website. The Introduction section contains a 22-page photo essay summarizing the impact on Kuwait of the Iraqi military invasion, occupation, and retreat during August 1990 through February 1991. In the form of nearly 1,300 photographs arranged by geographical region, the Gallery presents detailed evidence of the massive damage Kuwait sustained and offers a photo tribute to the lives claimed by the invasion. Click Overview for a brief narrative on the different types of damage sustained in each of Kuwait's five regions (South, Coast, City, Suburbs, and North) and for a look at the names and faces of the many people from varied nations who perished due to the invasion during Kuwait's seven-month ordeal. To find photos on specific subjects, such as firefighters, fishing boats, hotels, land pollution, oil pipelines, Seif Palace, schools, stadium, or weapons, type one or more words into the SEARCH GALLERY box. To see audio or film footage, visit the Media Gallery. All photos in the Gallery regions are from March through November 1991, with a few whose numbers are marked with "A" linked to a comparison of the same scene in 2010 or 2011. (Visit Recovery to see all the before/after comparison photos in one section.) The photos in Human Cost are from 1990-1991 in London and 1991, 1993, 2010, and 2011 in Kuwait. To continue with the Introduction, please click on the forward arrow ( > ) at the top of this column. waterfront, are the nation's symbol. the electricity, elevators, and restaurant.